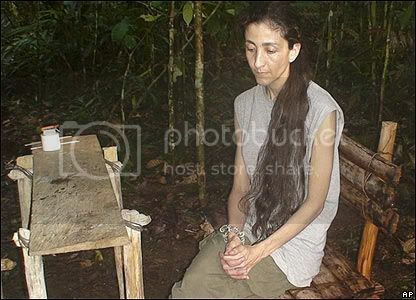 The Green Party candidate for the Colombia presidential election Ingrid Betancourt has written a book about being captured in 2002 and held hostage by Farc for 6 years. Its called "even the silence has to end". What an astonishing ordeal to go through. She talks about escape attempts and life in the jungle. It seems the hostages got angry with each other as it was safer than blaming their guards. She is in touch with thw other survivors and most have nightmares of being trapped. So far I have only seen a review, I look forward to reading the book.